The Washington Wizards have now won three in a row after defeating the Atlanta Hawks 131-117 on Wednesday night. 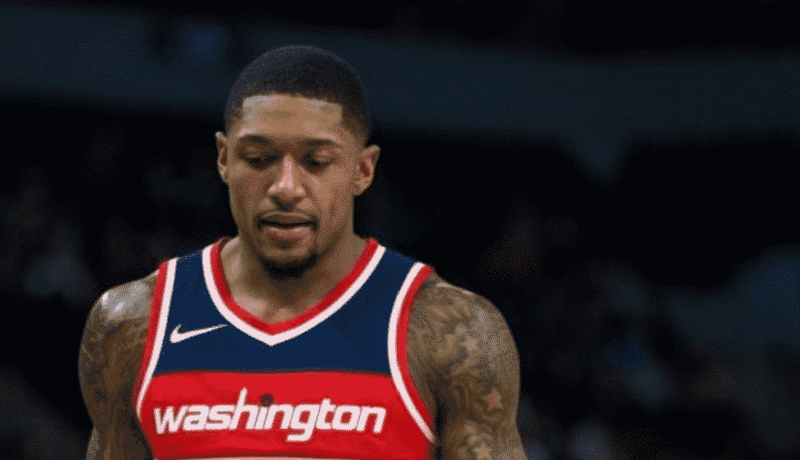 Brad Beal had a season-high of 36 points. Otto Porter scored 20 and Kelly Oubre added 19 points off the bench for a short-handed Wizards squad that was without John Wall and Jeff Green. After a rocky start, the Wizards found themselves in the drivers seat by locking in defensively. A Thomas Bryant putback dunk followed by a couple of offensive rebounds to keep possessions alive got the Wizards going in this one. The Wizards began to separate in the second quarter thanks to their bench. Kelly Oubre Jr.brought energy off the bench, scoring 12 points in the second quarter as Washington’s lead increased to 23 at halftime. It was arguably their best defensive half of the season and it was one of their best on the offensive end as well, as they assisted on 17 of their 24 made baskets. After a great defensive performance in the first half, Washington crumbled and allowed the Hawks to get back in the game. They gave up 45 points and Markieff Morris also made some sloppy plays. The Hawks trimmed a 25-point deficit down to single digits entering the fourth quarter. With the Wizards lead down to five, Tomas Satoransky hit a big shot that put the Wizards up eight. The Wizards were able to take back control after that shot and cruise to their third straight win. This was also Washington’s ninth win in 14 games. When has this happened before? I know the Hawks are not a very good basketball team but the Wizards do not win games like these. They have recently been taking care of lottery teams such as the Nets and Knicks however this is not always the case. They will face another lottery team in Cleveland on Saturday. Could Brad be Washington’s most valuable player? Brad was by far the best player on the floor tonight. His 36 points and nine assists were a huge reason the Wizards were where they were in this game. However, this raises a question over whether Brad or John is more valuable to this team. On the one hand, Brad can step up to the plate and does not play a lot of isoball while John does that too often. Whenever the Wizards needed a basket, Brad delivered. Brad helped channel the best parts of how he played during the ‘Everyone Eats’ phase last season. This was good to see as Washington did not coast on talent. Instead, the Wizards relied on hard work and determination to get the win.